Drilling 1/8-in. hole in 1950 Plymouth distributor cap curbs condensation. 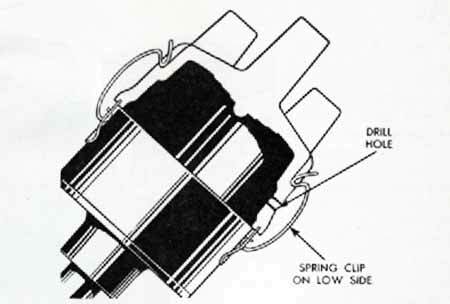 If hard starting is traceable to condensation in the distributor cap, drill an 1/8 inch hole through the side of the distributor cap, just above the shoulder, under the spring clip on the lower side.